The Managed Metadata Service ‘<Service Name>’ is inaccessible. If you are receiving this error on your SharePoint Servers the fix is quite easy. There is also a TechNet link that deals with the common causes and suggests the following resolution. 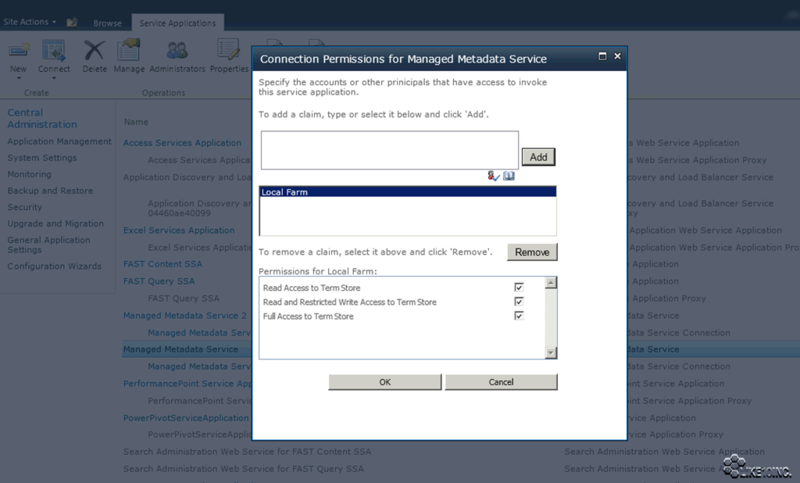 Verify the application pool account permissions that have been granted (or not) to the Managed Metadata Service Application. When you check the permissions, as your screen-shot shows, it displays ‘Local Farm’. Do you have to manually add the Service Application account and check that the 3 boxes are checked? Or do you only need the 3 boxes checked for ‘Local Farm’ (as your screen-shot depicts) and that is enough? Many thanks for your prompt reply Wes!